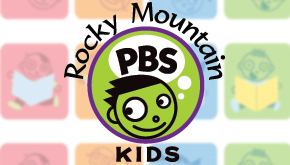 It's the Rocky Mountain PBS Kids Club! As a Kids Club member, your child (or children) will receive a birthday card each year, and we'll list each child's name on-air and on our website (with permission). Plus, we'll let you know about any great kid-friendly events or programs you won't want to miss! • Make a membership donation of $40 or more and choose a favorite program. We'll send each child an official Kids Club Adopt-a-Program certificate. • As long as you renew your RMPBS membership each year, your children will remain active members in Kids Club until they reach age 13. So you don’t have to sign up for the club again. • We need your child's entire – and exact birthday – so we can include each child's name on our on-air birthday scroll the week of the birthday – and on our website, too! • And we'll send a birthday card each year!